17 March 2015, a normal day in Los Altos Hills turned into a wreckage zone after a police pursuit ended with crash a car crash. 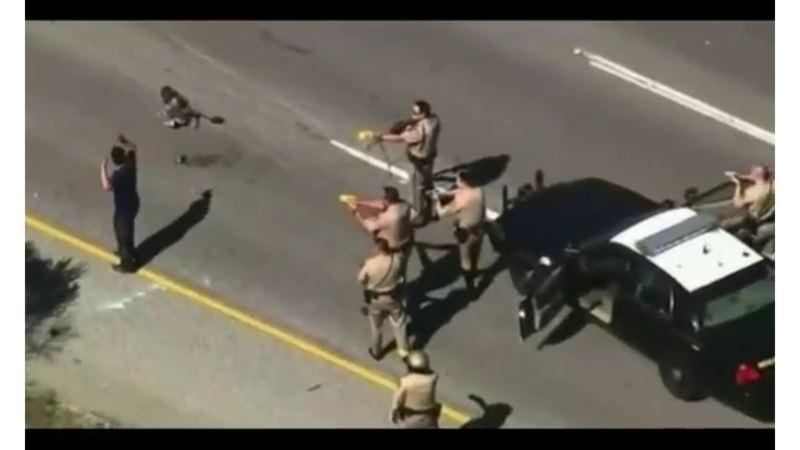 A speeding driver identified as 24-year-old Ramon Bernal refused to stop after California Highway Patrol officers caught him speeding. The officers started to follow and chase for hundreds of kilometre after the suspect refused to stop, even after when he lost his front-left tyre blown by spike strip. The suspect then drove his car on three tyres for several kilometres before losing his control over the car and flicking the concrete at around 3 PM. The car started to rollover to the middle of the road and landed back on its wheels. The driver then emerged from the car not injured, checked the damage of his car, and acted like nothing had happened. The officers then came after him only to have him restrained. He was charged with felony and driving under influence of drugs. No response yet to "Police chase in Los Altos Hills ended with a rollover car"